Trained as a pharmacist, Gert Schuitemaker completed his PhD in medicine at University of Maastricht in 2004. The Maatschappij ter Bevordering van de Orthomoleculaire Geneeskunde (Society for the Advancement of OM) was founded by him in 1987 and he served as its first President until 1997. 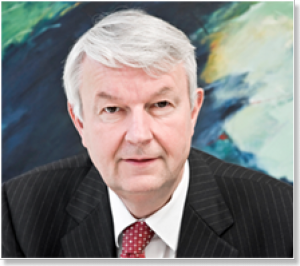 Gert Schuitemaker served as President of the International Society for Orthomolecular Medicine from 1999 to 2009. In 1982, Gert Schuitemaker founded the Ortho Institute, a foundation which informs professionals and the public about nutrition and health, mainly in the Dutch language. In 1993 he started the publishing company Ortho Communications & Science BV. Schuitemaker is director, and also author of around fifteen books and chief editor of ORTHO magazine, a journal for health professionals, and Fit met Voeding (healthy with nutrition) for the public. He has organized a large number of congresses and workshops with nutritional topics related to chronic diseases, behavior (aggression), medical care and dietary supplements in healt and disease. On the internet he maintains an informative website which contains the digital ORTHO-library. Schuitemaker writes many columns and is often asked to for guest lectures and interviews in the media.